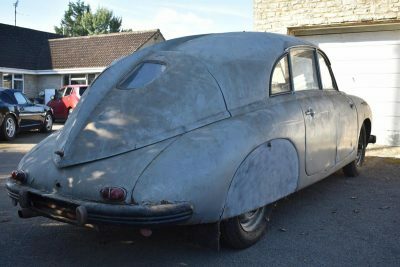 A Cold War Tatra T600 Tatraplan car sold by Charterhouse in their 4th November auction of classic and vintage cars has been bought by a Slovakian Tatra collector who lives only 50 miles away from where it was made in 1950 at Ostrava in the Czech Republic. Bidding was fast and furious with a bank of telephone bidders, live internet bidders and hopeful buyers in the saleroom, including one who flew over from Germany just for the Tatra. However, the hammer finally came down to an internet bidder from Slovakia who parted with £15,850 to own the car. A keen collector of Tatra cars in his early 30’s, he drove to collect the car from Charterhouse all the way from his home town in Slovakia. 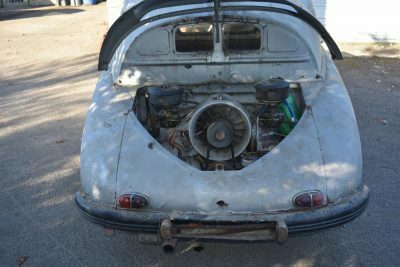 The journey took him just under 24 hours to complete and after he had loaded the Tatra onto his transporter, he turned around to head off home. 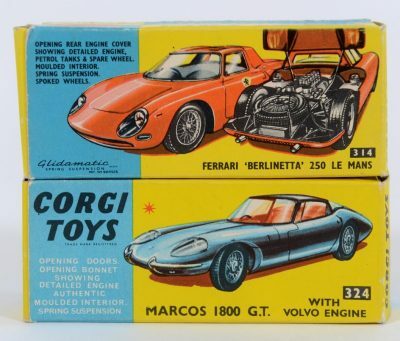 However, if owning a full size 50 year old car is too much then the Charterhouse December 14th collector’s auction has a selection of Corgi die-cast motors. Collected by the owner in the 1960’s and always treasured by him then, they were played with carefully and always put back in their boxes after use. Today they are keenly contested at auction with collectors looking to re-live their childhood or buyers looking to add to their collections. Charterhouse are now accepting further entries into this auction of collector’s items with model cars and trains on Friday 14th December, contact Richard Bromell. They are also accepting entries for their auction of classic & vintage motorcycles on 3rd February followed by classic and vintage cars on Sunday 10th February, please contact Matthew Whitney at Charterhouse, The Long Street Salerooms, Sherborne 01935 812277 or via email info@charterhouse-auction.com to arrange a home visit.